Ballpark Estimate: $2,000 to 4,300 a month. You’ve probably heard the Italian phrase, “La Dolce Vita.” In English, this translates to “the sweet life,” which is a perfect description of what it would be like to retire to Italy. In fact, this charming country just may be the perfect spot if you want to spend your senior years living in peace and beauty. There’s something for almost everyone in Italy. The landscape is rich with diversity, whether you want to live in the rustic countryside, prefer the bustling pace of a city or opt to live by the beach. Each region has its own characteristics as well. But no matter where you choose to live, hopefully you will be close enough to take advantage of the wealth of cultural activities that exist in Italy. The opera, art galleries, fine restaurants, old-world architecture, universities, vineyards and a variety of outdoor sports are enjoyed by Italians of all ages on a regular basis. A warm, friendly atmosphere. Italians are known for being very hospitable, so it should be easy to make new friends and quickly feel at home in this country. Some Italians speak English, but not all, so it helps to learn the language so you can communicate well wherever you go in the country. Reasonable cost of living in more rural areas. Many people think that living in Italy is expensive, which is true overall, but property prices and rent can be very affordable if you live outside of the big cities. Shop local brands and food and avoid imported items to get the most for your money. Strong healthcare system. If you are lucky enough to be a native Italian or have European citizenship, you may qualify for free healthcare under the national system. Keep in mind that Americans usually have to pay for their own healthcare. While the cost varies depending on age and circumstances, you will find consistently high medical care. Excellent food. You’ll find inexpensive restaurants galore where you can drop in to enjoy the regional specialties, and you’ll also find inexpensive marketplaces where you can buy your own local ingredients. Most Italians shop every day to get the freshest items for their meals. While you’ll enjoy lots of charm if you decide to adapt the old-world traditions you will find in Italy, you will also need to be prepared to face some daily challenges in the lifestyle there, since some of the modern conveniences Americans take for granted are in short supply in the more rural Italian countryside. For instance, some areas have a shortage of electricity, making this commodity very expensive. There also are limited phone connections in certain sections, so it is harder to stay connected to other areas. In addition, since not all Italians speak English, this can make it harder to communicate if you are unable to converse in Italian. Further, there are new tax benefits in Italy that benefit many Europeans but do not apply for Americans. 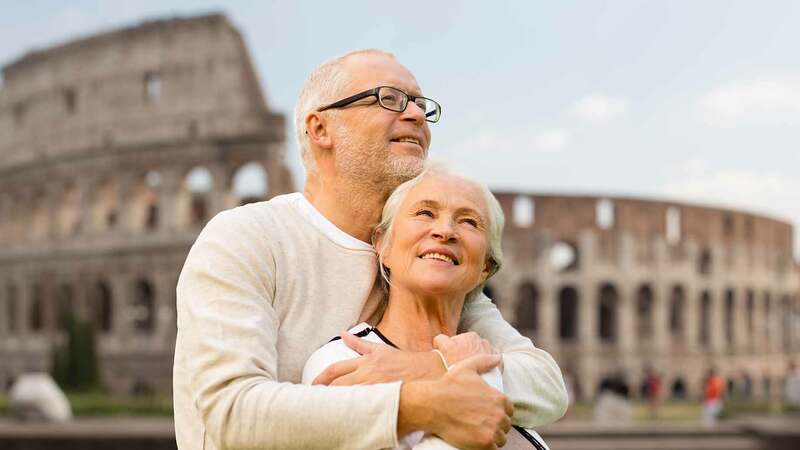 Finally, a multitude of paperwork is typically involved if you want to move to Italy; the good news is that if you are retired, you won’t need to earn a living there, so the process is much easier to manage. It’s true that it isn’t cheap to live in Italy. In fact, this country has one of the highest cost-of-living rates in Europe. In addition, the dollar has a weak exchange rate in Europe, so it won’t go as far there. In the fall of 2007, one U.S. dollar equals just under 0.70 Euros. Nonetheless, if you take some time to explore the different regions, you can find plenty of areas that are reasonably priced. Keep in mind that prices vary a great deal depending on where you choose to settle. Even if you have your heart set on living in an area such as Tuscany or Venice, you may be able to make it work for your budget if you are willing to live economically. Generally, you will find the best deals in the countryside and interior areas away from the water. Here, property, food and other expenses will be far lower than in the more popular tourist areas. A two-bedroom apartment in Rome can cost about $2,000 or more a month. Compare this to the cost of living in a more rural area, where a charming rental apartment can be found starting at about $400 monthly. There is also a monthly service charge on rentals, which varies depending on where you live. It can be anywhere from $30 to $300 a month. In addition to housing costs, you can expect to need about $1,500 to $2,000 or more each month to cover your food, utility bills and other expenses to live a reasonably comfortable lifestyle. Therefore, you can expect to need anywhere from $2,000 to $4,300 a month to live in Italy. If you prefer to invest in property, expect prices to start at $100,000 in Rome for a studio apartment, or $200,000 and up for a bigger apartment. In the countryside or rural areas, you can find an efficiency apartment for $30,000 or you can scoop up an old village house that needs to be renovated for under $60,000 plus improvements. If you have more money to spend, $500,000 will buy a small farmhouse in Tuscany. If you think you can swing the costs and want to explore retiring to Italy, most Americans who live there recommend spending some time visiting the different regions to determine what will be the best fit for you and your lifestyle. Once you decide where you want to live and have arranged the logistics, the next step is to apply for an elective residency visa. To achieve this status, you need to prove a monthly pension or retirement payment that is big enough to cover your living expenses. You will also need to have proof that you have lined up a place to live in Italy and have medical insurance in effect for the country. People usually apply for a visa for an extended visit 90 days before they plan to leave for the country. You should contact the consulate for the region in which you plan to live to find out specifics about how to go about this process and the specific requirements you will need to meet, since they vary from area to area.